Read the legal documents on the allegations of racial and sexual harassment and the SLPD. (This post has been revised and re-revised since its original publication). In early 2008, a number of female police officers at the San Leandro Police Department made internal complaints regarding sexual harassment by then sergeant DeWayne Stancill. The city responded by promptly hiring an outside investigator to look into the complaints. The report concluded that the complaints were unfounded, but that Stancill’s behavior had at times been inappropriate. A second investigation prompted by reports of sexual harassment and retaliation made by Officer Debra Trujillo against Stancill, also cleared him of wrongdoing. 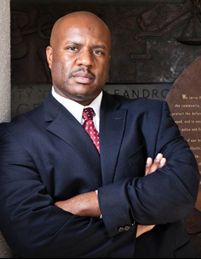 Stancill then filed his own complaint of racial harassment, naming the officers who previously complained against him as well as others associated with them. The City hired a private attorney to investigate the matter, who concluded that some officers had made derogatory remarks against Stancill, but it wasn’t because of his race. Stancill was later demoted from Sergeant and then fired for allegedly unrelated reasons. The female officers sued for sexual harassment and discrimination, and the City settled for various amounts, from $25K to $295K. The City also agreed to institute changes in the police department, including changes to how promotions are given. In the case of Officer Trujillo, the City did not settle, went to trial and won. Stancill sued the City for wrongful termination, the City recently settled that lawsuit for over $300K, including attorney’s fees. He was reinstated to his job, from which he then retired. Recently, the East Bay Express published an article on the controversy written by San Leandro blogger Steven Tavares. Tavares is not particularly well known for his journalistic standards, and he mostly tells Stancill’s side of the story, but it’s a story that has not been told before. Given the gravity of the story, and its cost to the city, I think it’s a story that has to be told carefully. At this point, having read only the private investigation reports, I have more questions than answers: Why did the City spend over $1M settling cases that its investigators have deemed baseless? If the city was concerned with the cost/risk of litigation, why did it not settle the case brought by Officer Trujillo? What were the real basis of animosity towards Stancill in the department? Why was he really fired? Is the fact that Stancill’s 19yo son, a gang member, shot and killed a SLHS student during this period, unrelated to how other officers reacted towards him? And is the tendentious nature of the report on Stancill’s allegations a result of the investigator’s ineptitude or a sign of what the City Attorney wanted the “official story” to be? I hope to find some answers as I read more of the court documents. I will post those documents I find relevant here. I will be posting the City’s private investigators’ reports on the sexual and racial harassment allegations. These reports should not have been made public, as they convey private information about police officers and opinions presented by them in what they thought was a confidential setting. However, the reports were made public when introduced into the court proceedings and are available for download from the court’s website. I am posting them here for ease of access, but I’m redacting names of people who refused to make official complains, as well as others who did not have a chance to defend themselves. I am also redacting personal information that is irrelevant to the case. This report was made by private investigator Debra L. Estrin, who was hired by the law firm that represents the city, Meyers Nave, to investigate the claims made by female police officers of sexual harassment by DeWayne Stancill. In my opinion, it’s a well researched and professionally written report. This report was made by private attorney Patricia Elliot, hired by Meyers Nave to investigate allegations of racial harassment made by DeWayne Stancill. This report is sloppily written, with multiple factual mistakes, selectively quotes parts of the Estrin report, ignoring the context, and comes to conclusions unsupported by the evidence presented. Whether that’s because of incompetence by the investigator, personal bias or direction by Meyers Nave is unclear. On the case brought by Stancill for wrongful termination. It explains the city’s reasons for terminating Stancil: that he acted unprofessionally by wearing a teaching saying “Acquitted,” after the report on the sexual harassment complaints (see above) came out, by not recusing himself from doing the background check on an applicant which he knew (he told his supervisor her knew the applicant, but not that he had previously recommended him for another job), and by not telling a sergeant that he believed the father of an injured suspect was a dangerous “crook”, when said sergeant suggested he let said father see his son in the hospital. The motion was denied. You are an awful person. I thought Dewayne Stancill was such a bad person? You criticized the SLPD, but ate up their lies about him for 3 years. You can’t handle you got duped? And this report is useless. It doesn’t say anything. What’s the other side of the story? The reports. You don’t seem to know anything about anything. In fact, maybe my next report should be about you and how you campaigned for the Democratic county committee saying you were a lawyer, when you are not. Human rights lawyer? You don’t even like people. I wasn’t going to approve this message because I wasn’t sure that you, Steven, had actually written it (I know you are very angry with me and those in my circle, but I thought you could at least write coherently). But I checked and this comes from the same IP address than your previous comment came, so I will assume it’s actually you. I will be happy to have a discussion with you – and anyone – about the issues. And you are free, of course, to write anything you want about me. However, I will not respond to any of your personal attacks on me. It’s just not worth it. Hey Tavares, you deleted my comment on your blog so I’m posting it here. I hope Marga will approve it even though I’m posting anonymously – I don’t want any political payback. Everyone knows that your “inside source” political consultant is Shawn Wilson. And if there was any doubt you confirmed it by deleting my comment. Sorry boy, the secret is out. If Wilson wants to use you as his own Alameda County Rumours that’s fine, but let your readers know that it’s him and he has his own political agenda. Like, for example, he’s the political consultant you quoted saying that Young’s campaign couldn’t have made the mistake they made on Smart Voter, which is totally bogus. I’m sure Wilson has made that mistake before himself. But Wilson ran Bonta’s campaign last time around and he’s probably still in Bonta’s pay, so I’m not surprise he’s using you to attack Joel Young. Your readers deserve to know that, man. At least those who read you in the East Bay Express, who have no idea what a joke you are. Anyway, hope that you and your boy Wilson have a lot of fun times together now that his identity is out.